Ride The Rockies is an annual bike tour of Colorado that features some of the best cycling/scenery opportunities the sport has to offer. Each year the ride makes its way through picturesque Colorado towns and terrain. Although the ride is non-competitive, the popularity of this cycling event is huge – nearly twice as many applications are usually taken to fill the 2,000 rider tour. 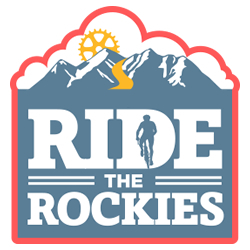 Whether participating as a rider, volunteer, or cycling assistant, make sure to book your lodging early and have a wonderful time this year at Ride The Rockies! Colorado Cycling, Colorado Cycling Events, Colorado Springs Colorado Events, Hotel Deals Ride the Rockies, Lodging Discounts for Ride the Rockies, Ride the Rockies Bike Ride, Ride the Rockies Colorado, Ride the Rockies Hotel Discount, Ride the Rockies Lodging, Ride the Rockies Map, Route Ride the Rockies, Stay for Ride the Rockies, When is Ride the Rockies?, Where does the Ride the Rockies race go?, Where is Ride the Rockies, Where is Ride the Rockies this year?